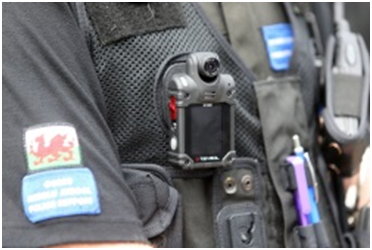 Firearms officers across Dorset, Devon and Cornwall are to be issued with body cameras following a successful trial. A total of 270 authorised firearms officers across two forces will use the cameras to capture evidence after a public consultation on their usage. Dorset Police claims that the use of the cameras has led to an increase in the number of early guilty pleas in domestic abuse cases where offenders know that their crimes have been recorded. The decision is a significant development in the way police use technology in order to gain evidence for victims. It reduces the likelihood of witnesses having to speak in court when an offender enters an early guilty plea. Using a body worn camera gives both officers and potential offenders greater transparency, a Dorset Police spokesman claimed. They added that this leads to the public feeling reassured when interacting with the police and demonstrates the professionalism of its officers. The body worn cameras are to be attached to officers’ uniforms but won’t permanently record. All footage captured complies with national guidance and is subject to legal safeguards. Once an officer returns to his or her station, the footage is uploaded on to secure servers, with any video not needed for evidence automatically deleted within 31 days. Members of the public can apply for any footage taken of them under Freedom of Information Data Protection laws within 31 days, unless it is retained as police evidence. According to the BBC, body cameras can dramatically reduce the number of complaints against police officers. Researchers believe that that both the public and police adjust their behaviour when they are being used. Fast becoming a standard piece of police equipment in the UK, these types of cameras were first introduced a decade ago and are thought to now be available to the majority of front-line officers.